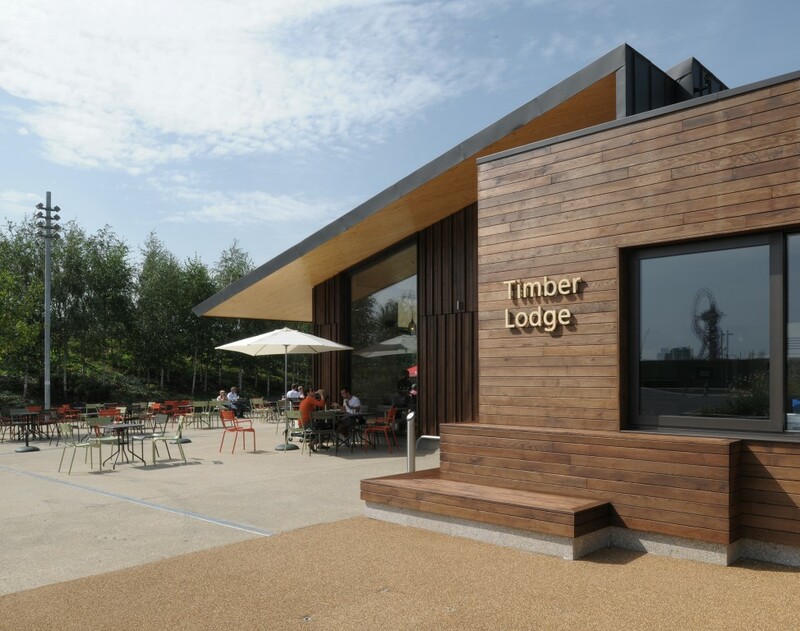 This was the first new building completed in the Olympic Park as part of the legacy phase of the 2012 London Olympic Games, housing a community space and park café adjacent to a natural adventure playground. 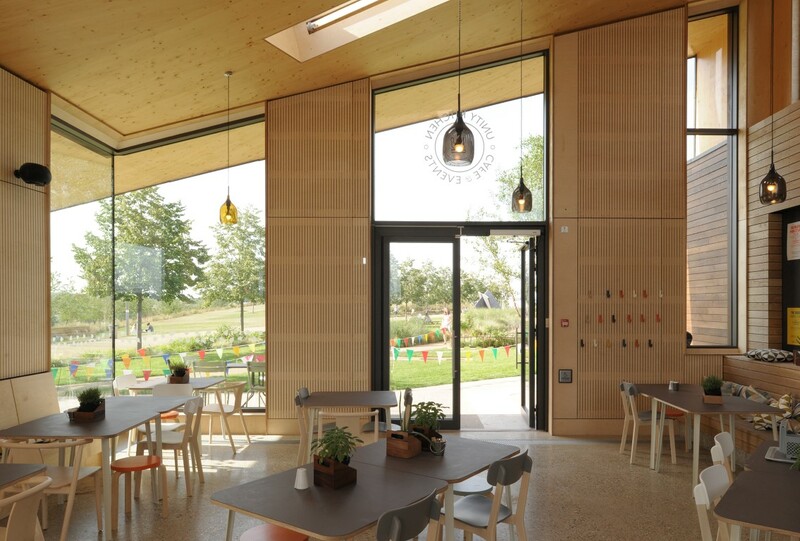 The building is constructed from cross-laminated timber (CLT) panels, which allows for a large open internal area and a 3-metre-wide cantilevered canopy providing shade and shelter on three sides of the building. The roof panels are arranged so that the grain radiates from a single point in order to achieve the canopy’s minimal depth of just 215 millimetres. 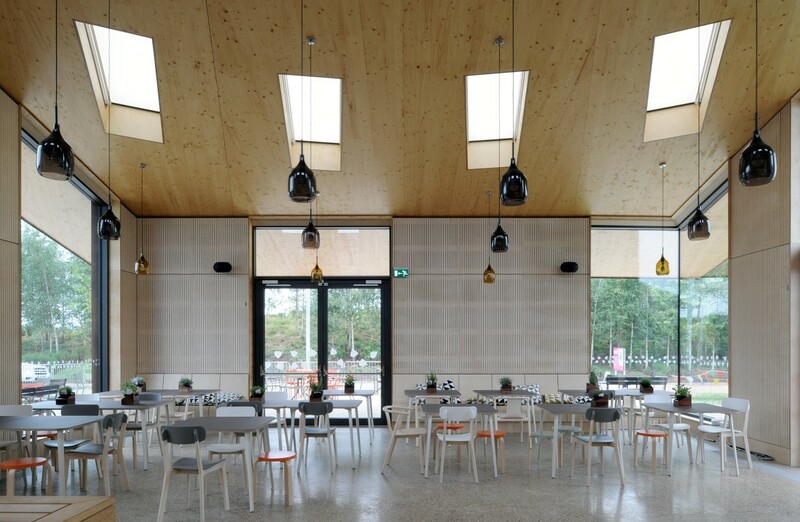 The structural design is reflected in the radial arrangement of the roof lights set into the exposed CLT panels. This clever design also allowed floor-to-ceiling windows to be inserted underneath the wide canopy and a full-height glazed corner in the café space, where the corner of the canopy hangs over 4 metres from the nearest supporting wall. 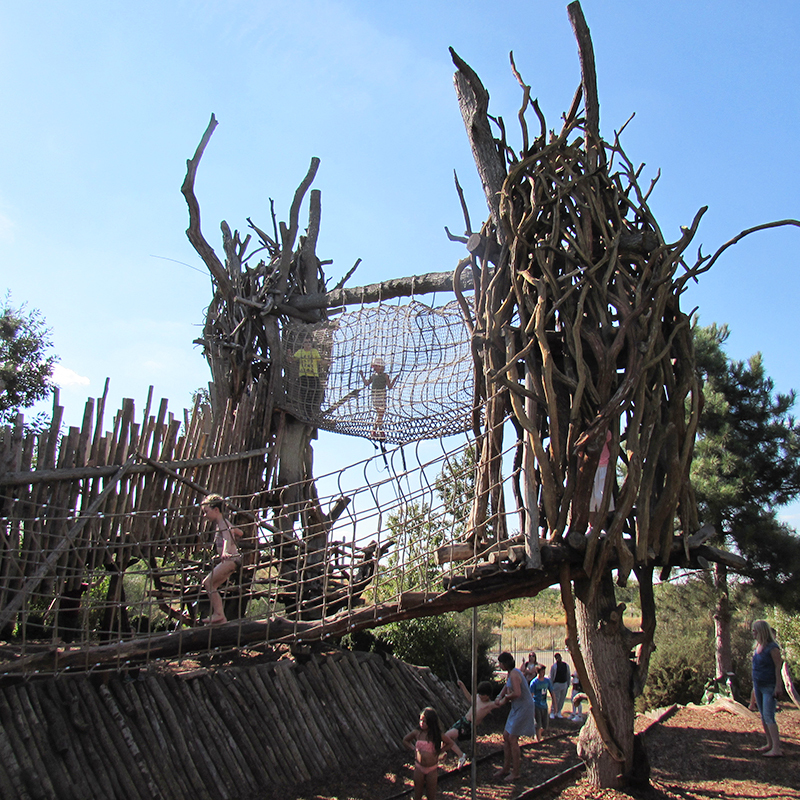 In addition to our team providing structural design for the main building, the engineering also included the playground’s more formal structures and the supervision of the load testing for its less-traditional elements, which included spliced tree trunk supports and protective barriers woven from natural branches.